Charmer Diane Keaton, in her trademark suits and turtlenecks, is most well known as an Oscar-winning actress in films that are today's classics. From her first appearance in The Godfather to her Oscar-winning performance in Annie Hall and a string of other great films chalking up $1.1 billion in box office sales, Keaton also found time to date both Warren Beatty and Al Pacino. Now at age 71, Diane has not slowed down having written three books, well-known for her photography, mother of two adopted children, and owns her own wine company, The Keaton, with reds described as rich and intense and a new white wine on its way. In her spare time, she is a real estate tycoon with a long history of buying, remodeling and selling houses in enviable Southern California locations. Newly offered for sale is a Laguna Beach house steps from the sand and with views of the Pacific Ocean, beach and rugged cliffs spilling into the ocean. Built in 1928 for the J. Roy Smith orange tree groves family when the idea of having a beach house was coming of age in California, there were still many excellent lots from which to choose. The Smiths chose a bluff overlooking the wide beach of Shaw’s Cove, which afforded protection from storm waves and an expansive view. It was built in the Mediterranean Revival style with stucco, decorative Spanish tile accents, wood beams, carved doors, ironwork and terraces surrounded by lush plantings and an outdoor fireplace to toast one’s toes on chilly evenings. Diane is one of a number of Hollywood celebrities including Ellen DeGeneres, Jennifer Aniston and Meg Ryan who collect and sell homes as a sideline; she was no stranger to building restoration as she had watched her father do the same for most of her childhood. In 2004, Keaton bought the beach house for $7.5 million and worked her magic in the restoration, preserving and accentuating its fine original details. Taking two years to complete, she sold the 4,158-square-foot, four-bedroom, six-bath house in 2006 for $12.75 million. It recently went back on the market impeccably maintained, and with the same staggering views through the receding oceanfront glass walls that open the living and dining rooms to the trade winds. Shaw’s Cove historic beach house restored by Diane Keaton from 2004 through 2006 is again on the market and priced at $15.989 million. Listing agents are Hanz Radlein of Berkshire Hathaway HomeServices California Properties and Michael Johnson of Villa Real Estate. On a star-studded Gene Siskel Film Center red carpet, I dished with Emmy and Golden Globe Award winner, Jeremy Piven, on The Celebrity Dinner Party. 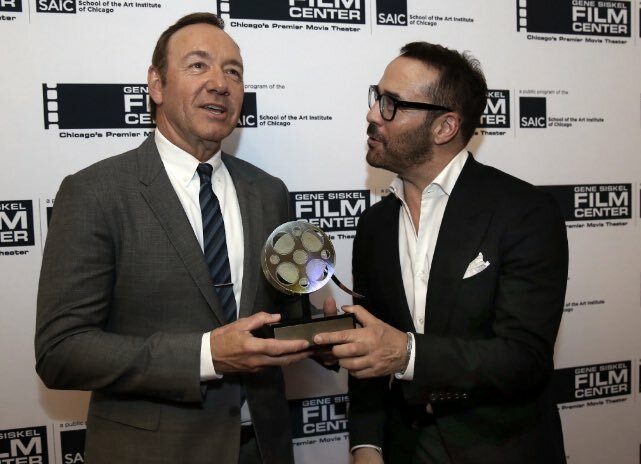 Piven was leading a discussion with Academy Award and Renaissance Award winner, Kevin Spacey (click here for that interview), honored by the Film Center. Jeremy and I chatted on acting tips from his parents, Joyce and Byrne Piven, relationship advice (! ), words of wisdom for young actors and his French Bulldog, Bubba. 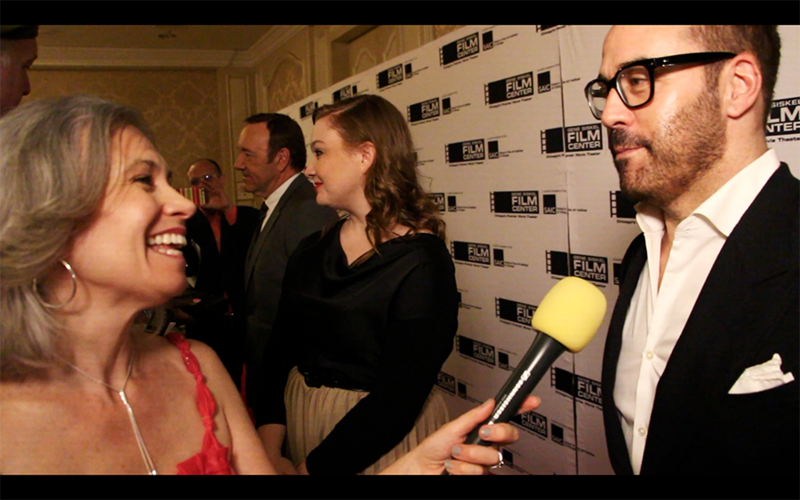 Click on the images above or click here to watch and enjoy my funny interview with Jeremy Piven! 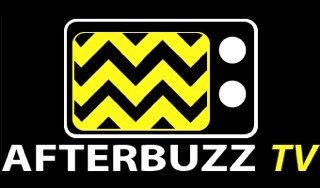 I am having such a great time co-hosting the Afterbuzz TV Genius (Nat Geo) and Girlboss (Netflix) Aftershows. Click here or the image to watch, enjoy and leave your comments! 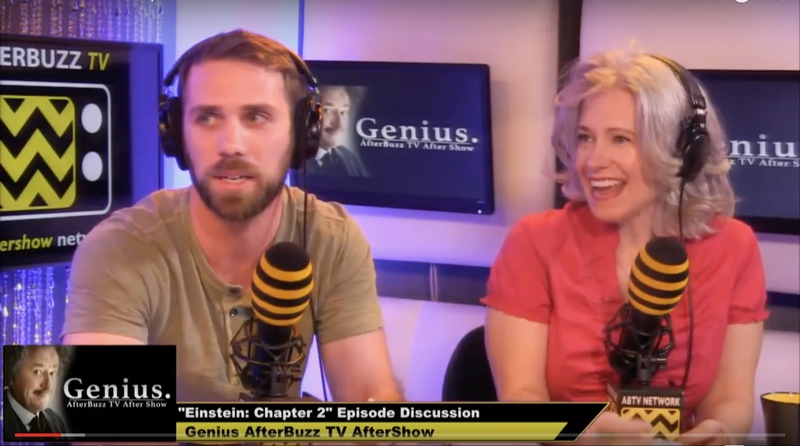 Zach Silverman is featured with me here on a recent Genius Aftershow Plus, don't forget to subscribe to (and review!) 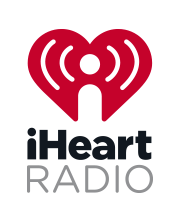 my podcast on iTunes here and subscribe to my Youtube channel here. Enjoy! Cinema/Chicago announced today that the organization is extending the deadline for submissions for the 53rd Chicago International Film Festival poster design competition through Friday, June 9 at 11:59 PM CT. Producers are seeking a unique poster to serve as the key image for this year’s Festival taking place October 12-26, 2017. Designs will be reviewed by a panel of Festival officials and the winning designer will receive a $2,500 USD cash prize and the honor of having created the Festival’s signature look. Late entries will not be accepted. Festival President and CEO Michael Kutza and Managing Director Vivian Teng have created a video providing additional details and examples of past winners, viewable here. Poster submissions should convey the experience of the Festival and be designed with the tagline “Because Life Is a Movie.” Submissions require a $25 entry fee and should conform to Cinema/Chicago’s design and submission guidelines outlined below. "We already have received an array of exciting and powerful posters, but we have had many requests from artists to give them a little more time to perfect their designs," said Kutza. "We are grateful to all of the artists who have dedicated their time, talent and effort to provide the Festival with a stiking image to promote us in our 53rd year." Before submitting, designers should read and consent to the Designer Agreement found here and review the complete rules and details found here. · Design must be 27” x 40’ or scale to 27” x 40”. · Design must be vertically oriented. 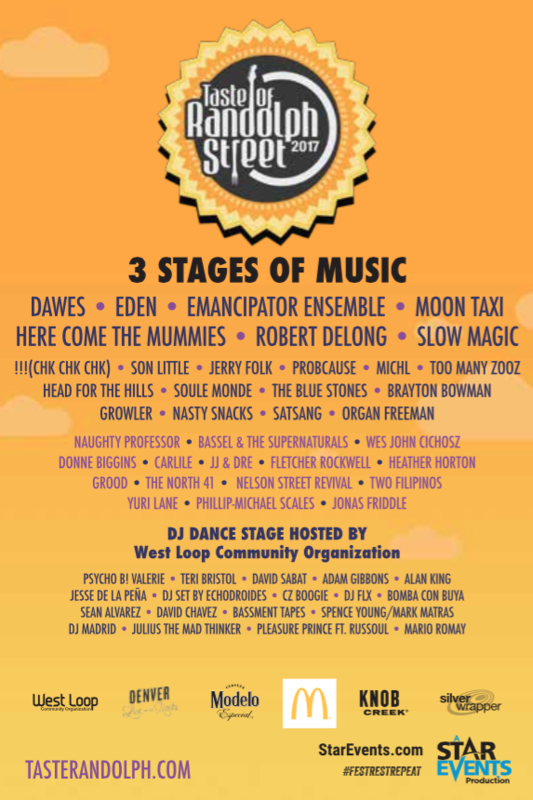 · Design must incorporate the Festival’s official “eyes” logo (available here). · Design must reflect the theme “Because Life Is a Movie” and include that text in the design. · Design must clearly state: 53rd Chicago International Film Festival. · Design must include the festival dates: October 12-26, 2017. · Design must include website: ChicagoFilmFestival.com. 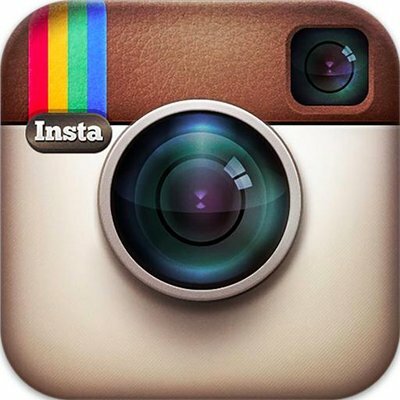 · Artists must use their own original artwork. Copyrighted characters, images or clip art will not be accepted (with the exception of the Chicago International Film Festival logo). · All file submissions must be in pdf, jpeg or png format. · Entries must be submitted at 300 dpi (CMYK). · File must be no larger than 12 MB. · Entries must include a completed Submission Form available here. · A separate submission form and entry fee must be submitted for each design. The Chicago International Film Festival is North America’s oldest competitive film festival. Seeking out the best in international cinema, the Festival has discovered new talents and opened windows to a world of film previously or otherwise unavailable in Chicago. This year the 53rd Chicago International Film Festival will take place October 21-26, 2017. Cinema/Chicago, the presenting organization of the Chicago International Film Festival, is a year-round non-profit arts and education organization dedicated to fostering better communication between people of diverse cultures through the art of film and the moving image. We aim to enrich Chicago’s cultural environment by presenting film in contexts that encourage discussion and debate. Cinema/Chicago’s year-round programs include the International Screenings Program, Chicago International Television Festival, CineYouth Festival, Education Program and Membership Program. For more information visit http://www.chicagofilmfestival.com/ . Cinema/Chicago honored two of the film industry’s most celebrated artists, Academy Award-winning actress Helen Mirren and Academy Award-winning director Taylor Hackford. Hackford and Mirren married, having met when Hackford directed Mirren in the 1985 film “White Nights,” which had its world premiere at the Chicago International Film Festival that year. The star-studded evening featureed a cocktail reception and silent auction followed by dinner and an intimate discussion. Award-winning journalist Bill Kurtis hosted the evening, which will include an on-stage conversation with Mirren and Hackford giving insights into their individual careers. The Chicago International Film Festival is the nation’s oldest competitive Festival, and over the course of its history, has brought a “who’s who” of international legends and luminaries to Chicago, including Steven Spielberg, Clint Eastwood, George Cukor, Bette Davis, Tom Cruise, John Travolta, François Truffaut, Margarethe von Trotta, Taylor Hackford, Oliver Stone, Richard Attenborough, Sophia Loren, Nicholas Cage, Susan Sarandon, and many more. Actress Helen Mirren and spouse Director/Producer Taylor Hackford were honored with Gold Hugo awards presented by Michael Kutza(right) at the Cinema/Chicago 2017 Spring Gala held at the Lowes Chicago Hotel. Dame Mirren is wearing a black lace dress by designer Shiatzy Chen. The mansion of the early 1900's promoter who was largely responsible for making Miami Beach one of America's first resort towns is for sale and featured this week at TopTenRealEstateDeals.com. Miami Beach was an unnamed barrier island with a few avocado plants, dense mangrove trees, lots of mosquitoes, very few people and almost impossible to get to until an Indiana promoter and entrepreneur began its historic transformation. Carl G. Fisher looked at the strip of desolate Florida sand and saw a grand resort city. Fisher was an automobile enthusiast, marketing genius and bit of a huckster who had grown from co-owner of a bicycle shop to opening America’s first car dealership, creating the Indianapolis Motor Speedway, main mover behind both the Lincoln Highway from New York City to San Francisco and Dixie Highway from Michigan to Miami, and became a multi-millionaire from his investment in car headlights. When early developers such as John Collins (think Miami Beach’s Collins Avenue main drag) ran short of money to build the first bridge from the mainland to Miami Beach, it was Fisher who stepped in with his money and vision to move the project along. He also financed the dredging of Biscayne Bay to create the residential islands between Miami and Miami Beach, including the Venetian Islands and Star Island. Exclusive Fisher Island, which Fisher once owned, is named after him. Fisher was full of ideas to promote his projects including riding a bike across a tightrope to advertise his bicycle shop. To promote his automobile dealership, he piloted one of his cars, minus the engine, hanging from an air balloon to the outskirts of Indianapolis where he swapped cars to one with an engine and drove back into town. To get people to his new Miami Beach, Fisher paid for a billboard in Times Square in the middle of the winter advertising that it was June in Miami Beach. Vacationers and transplants began flocking to Miami Beach and from 1920 to 1925, Miami Beach’s population increased over 400 percent. By 1923, Carl Fisher was worth many millions and built the Miami Yacht Club, which he later turned into a private residence. The 18,400-square-foot mansion on Star Island has been completely updated and is now for sale for the first time in 30 years - the most expensive home in Miami-Dade County. Priced at $65 million, the property is located on the tip of the island with commanding long-range views of Biscayne Bay. With more than 40 rooms, it includes 10 bedrooms, 12 baths and a two-story spacious formal living room with intricately worked ceiling and surrounded by second-story balconies and bay views. Also included are a formal dining room, private family rooms, a large contemporary chef’s kitchen that opens to outdoor dining, a 3,000-bottle wine cellar, three offices and two separate staff living areas currently used by a full-time staff of five employees. The 1.5 acre grounds include 255 feet of bay frontage, two private docks, a boat lift, swimming pool and cabana. With the double whammy of the Florida real estate collapse following the Great Miami Hurricane in 1925 and the 1929 Great Depression, Fisher lost his fortune and sadly ended up almost completely destitute. He lived out the remainder of his life as a handyman living in a small home in Miami Beach where he died in 1939. Carl Fisher’s Star Island Miami Yacht Club turned private mansion in the early 1920s has been totally updated with a fresh island vibe and new to the market for the first time in 30 years. The listing agents are Alexa Lacovelli, Mirce Curkoski and Albert Justo from One Sotheby’s International Realty in Miami Beach. History: Taste of Randolph converges some of the Windy City’s Best in Food, Music and Festival Fun for one unforgettable weekend to benefit the West Loop Community Organization. Attracting massive crowds and always a favorite amongst Chicagoans, The Taste of Randolph is located in one of the city’s most famous restaurant rows-the Randolph Street Corridor. Entrance: A $10 donation is suggested for admission to benefit the West Loop Community Organization, where residents, visitors and businesses have an active voice in decisions affecting the neighborhood parks, development, schools, traffic, safety and more. Copyright © 2016 CPR & Events LLC., All rights reserved. 3rd Annual Lucie Technical Awards- Nominations Now Open! NOMINATIONS NOW OPEN FOR THE THIRD ANNUAL LUCIE TECHNICAL AWARDS! The Lucie Technical Awards aim to honor both large and small companies, as well as the individuals who have advanced the photographic industry in a given year. All-inclusive, these awards encompass cameras, lenses, lighting, accessories, printers, software, and more. 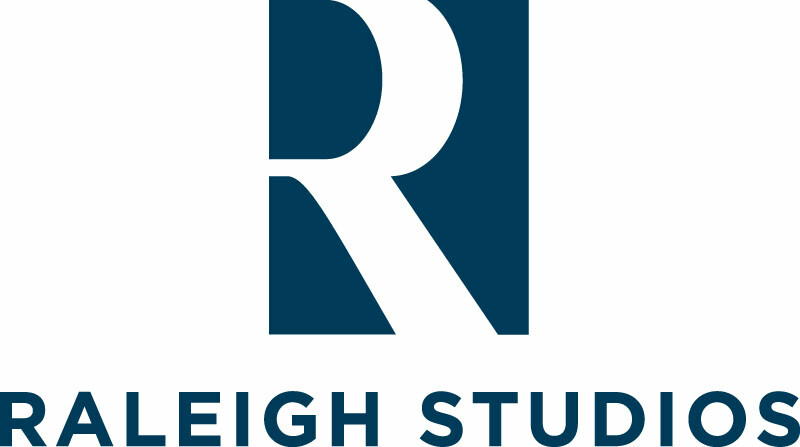 Experts in the field of photography as well as members of the public can contribute to the nomination process with the goal to recognize and reward deserving companies and individuals whose work has advanced the careers of so many. The 3rd Annual Lucie Technical Awards will take place October 25, 2017 at the PhotoPlus International Conference + Expo at the Jacob Javits Convention Center in New York City. The Lucie Technical Awards is the newest initiative of the Lucie Foundation and sister program of The Lucie Awards. Introducing the 2017 LAUNCH Invitational Residency Artists-in-Residence! The Chicago Artists Coalition is pleased to present A Cosmetic Decision, a solo show featuring BOLT Resident, Juan Camilo Guzmán. Guzmán presents an installation of diverse and nonhierarchical rearrangments of images sourced form mass culture and contemporary advertisment. The artist's treatment of them points to a refusal to be fixed in meaning, and instead to set up moments of pleasure with the simple and complex surface manifestations. Now and then, the work alludes to the identity politics and notions of difference present in Latin America. 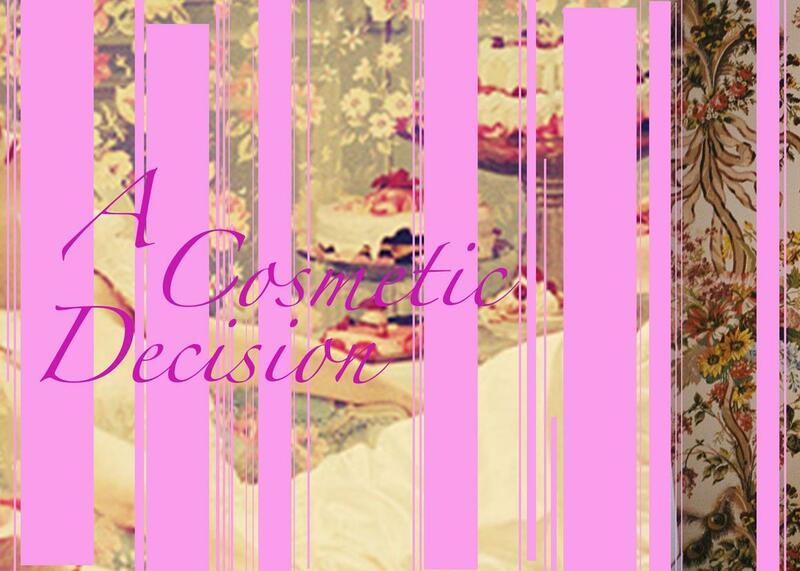 Creating a feedback loop between the formal and social qualities of the collages, A Cosmetic Decision takes an ontological approach to self-reflection, construction of personal identity, and arbitrary aesthetic and political interests. The Chicago Artists Coalition is pleased to present In your head, a HATCH Projects exhibition featuring Keely Haftner, Dan Hojnacki, and Chris Zain. A song can quickly trigger recollections of a memory once forgotten. The struggle of remembering is a process of the mind rendering images and words that lead us back to a particular story. Beings and objects that contain sentiment connect us to a narrative that was once clear but over time has become fuzzy. Riddled by confusion, melancholy, desire and distortion, our memories are trapped in our bodies’ histories of touches and resurface like weathered puzzle pieces mashed together. In your head is an exhibition that considers the idea of memory as information transformed through material and time. Developed out of conceptual practices, the artists’ specific connections to memory vary from the study of cognition to the body and domestic space, as a vessel for our individual lives and experiences, and the lab-like transmutation of discarded sculptors’ sculptures. Each artist approaches their material through a process of experimentation, generating objects, images, and installations that bare traces of a former life or a moment past. In your head is curated by Meg T. Noe. Faheem Majeed is an artist, educator, curator, and community facilitator. He blends his unique experience as a non-profit administrator, curator and artist to create works that focus on institutional critique and exhibitions that leverage collaboration to engage his immediate, and the broader community, in meaningful dialogue. Majeed received his BFA from Howard University and his MFA from the University of Illinois at Chicago(UIC). Join us as Majeed opens his studio doors exclusively to Chartwell Collectors Circle members for a private tour. 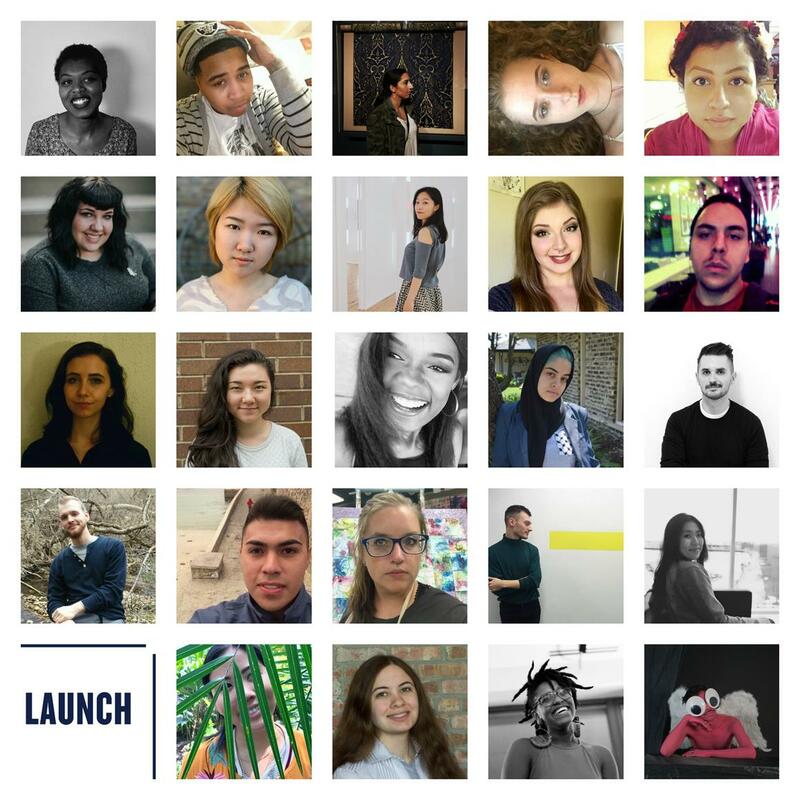 Now in its 5th year, LAUNCH is a 4-day professional development residency for BA and BFA graduates emerging from Chicago-area schools taking place June 12-15, 2017. This year, we are thrilled to host 24 students that have been nominated by their respective faculty at 10 local colleges and universities. Co-facilitated by CAC Education Manager Penny Duff and Artist Mentors Jordan Martins and Selina Trepp, the program aims to help these promising artists access tactical advice, devote time for introspection about their future, and engage with established, rising, and innovative thinkers in the field as they determine their next steps. To learn more about the 2017 LAUNCH Artist Residents, see their Artist Profiles on the CAC website.